If you’re a tech junkie who always needs the latest handset, there’s no question you’re spending a lot of money on your smartphone. 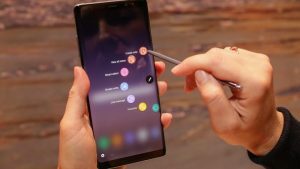 The price tag attached to the newest iPhones and Androids can throw your finances in a tailspin.You may have spent $1,319 on the new iPhone X, or maybe it was just $1,299 for the Galaxy Note 8, but it wasn’t exactly a lost investment, destined to depreciate the longer you swipe through your apps. With the most innovative mobile tech in your hands, you have a device that can help you save money. All you need is the right app. Mylo is an app that makes investing as painless as possible — so much so, you probably won’t even notice how much you’re putting away until you’ve got a little fortune to your name. It surreptitiously skims off expenses by rounding up your purchases to the nearest dollar. It invests the difference into a low-risk portfolio where it can grow until you withdraw it. It’s one of the easiest apps to bring into your life because you just have to give it permission to pair with your debit and credit cards, then it does all of the hard work. It tracks each purchase you make with these accounts and “charges” you the investment. That means, when you tap $4.95 on your debit for a Grande pumpkin spice latte from Starbucks, Mylo will actually charge you $5 and invest the $0.05. Though five cents mean next to nothing on its own, Mylo has the potential to invest a lot of money if you use your cards regularly. It also has the potential to throw your finances for a loop if you aren’t sure it can handle Mylo skimming off the top. That’s where the next app comes in handy. Mint, like Mylo above, needs permission to link itself to your financial accounts, but it needs to pair with more than just your debit and credit cards. This award-winning money management app needs to see all your financial details. That includes auto loans, mortgages, student loans, payday loans, and any other debts you have, alongside your various bank accounts and investments. It aggregates this data into one spot in its app, so you can see your total net worth and where you owe the most. It also needs to know the kind of bills you typically encounter each month. It can sometimes successfully guess that your $1,200 withdrawal on the first of each month is for rent, but sometimes you’ll have to manually identify other regular expenses. Once you have everything set up, it can notify you any time you overspend in a category. Mylo and Mint are just the start of money management apps available to you. They won’t all start with ‘m’s, of course. Financial help won’t always come in the form of an app, either. You can use your droid or iPhone to look up budgeting tips, saving techniques, the easiest way to borrow money, and effective ways to boost your income. The financial world is at your fingertips, and the best advice could be only a swipe away. So the next time you feel guilty about your handset’s expensive price tag, think of it another way. With the right app and the right tab open in your browser, you can find a way to recoup the cost of your fancy handset and maybe even put some loonies away while you do it.